Fr. Fred Foundation Director of Development Dave Abeel takes pictures of toys donated to Toys for Tots for the foundation's scrapbook the day before they are to be distributed to families. The foundation will distribute over 2900 toys to over 250 families who registered. 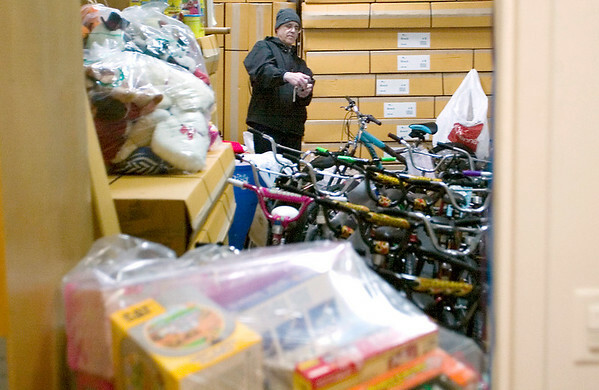 The foundation's Traverse City distribution point on Garfield Road is one of 17 sites in the area giving new, unopened donated gifts to registered families.